Models of Aging in Place come in many innovative forms are disrupting traditional notions of what it means to remain home by choice. The term NORC means any geographically defined community in which at least 40 percent of the population is 60 or older and live in their own homes. Often this occurred when the WWII generation moved to neighborhoods to raise kids and build their lives—then all aged together as a community with retirement and empty nesting. Fairview Village is based on an idea known as “new urbanism” or “Neo-traditional neighborhoods.” The term simply means a town designed the old-fashion way. The homes are built with timeless charm and traditional craftsmanship using modern floor plans and amenities. Front doors and porches are close to pedestrian-friendly walkways, so neighbors can keep an eye on each other and socialize—like neighbors once did. All the daily necessities are a short stroll away with bus stops and shops nearby; limiting the use of cars. 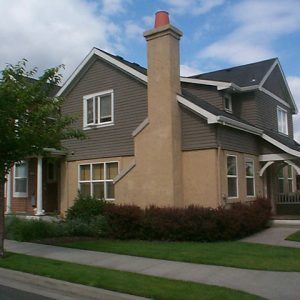 Fairview Village offers an alternative growth pattern to urban sprawl with the warmth and security of small-town living. 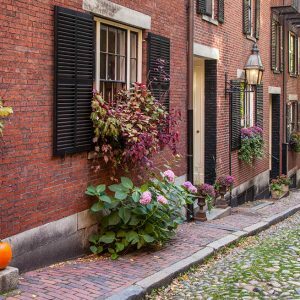 Beacon Hill Village is a nonprofit membership organization started by a group of residents in Boston’s Beacon Hill neighborhood, who planned the country’s first “virtual” retirement community. The idea is to pool resources with neighbors and purchase amenities and services like those offered in high-end retirement communities—thus keeping members in their beloved homes and community. 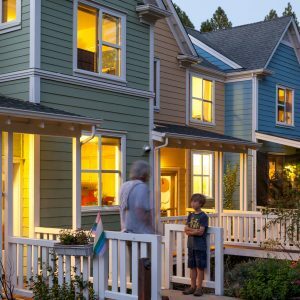 Cohousing is a community of collaborative housing in which residents actively participate in the design and operation of their own neighborhoods. The communities offer nurturing places where people of all ages are consciously committed to living in the community. The design encourages both individual space and social contact. 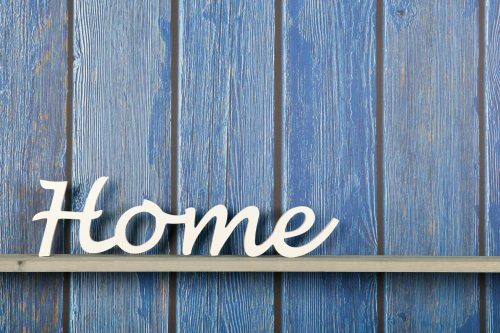 Homes are private living spaces with all the features of conventional homes yet offer a choice of access to common facilities. 5.0 out of 5 Stars Sweet simplicity– dial, talk, shut handset I like this little phone much more than anticipated. Order Here (affiliate link) I Think You’ll Love This Aging in Place Product! 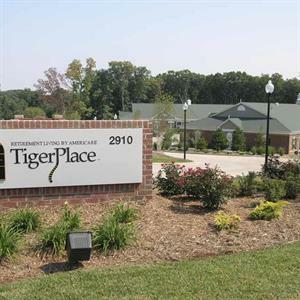 Tiger Place is an innovative concept in aging in place/community living for older adults and has been developed as a collaboration between Americare, the University of Missouri and Sinclair School of Nursing. 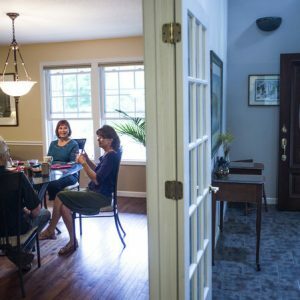 The popular 1980s television show, The Golden Girls, is experiencing a rebirth of sorts — in real life, as thousands of single, older women embrace the concept of home sharing. According to 2010 U.S. Census data, more than one million single women 45 and older live with a roommate who is not a relative. 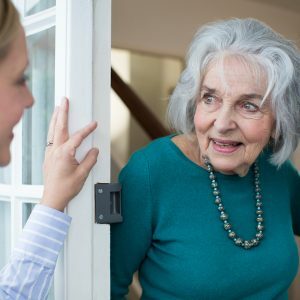 Given that Baby Boomers are now moving through retirement, the cost of living is continuing to rise and women typically live longer than men, home sharing is a trend that’s likely to grow. Finances – Home sharing gives many women a practical way to make ends meet in a tough economy. Others use cost sharing to build wealth and enjoy a higher standard of living. Companionship – A housemate provides a social outlet, helps reduce the chance of isolation and loneliness and can be of assistance if someone becomes ill or is injured. Security – Shared housing, especially in a home in a gated community, provides a strong sense of security. 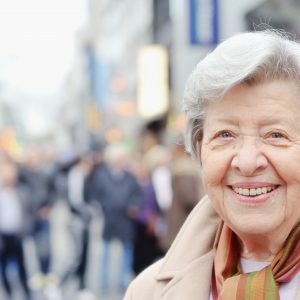 Reinvigorate – Many single retirees build on the companionship of a housemate and become more outgoing and social than they had been on their own (source Wellsfargo.com).